Visit us for unique, one-of-a-kind finds! 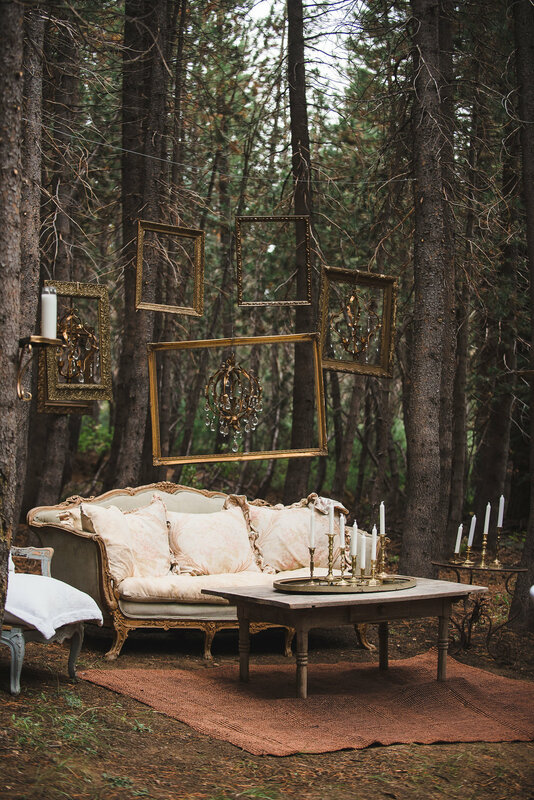 Michelle and dealer, Shelly, created this breathtaking setting with a series of gold antique frames and dusted gold and crystal chandeliers found at the store! Sometime's the most beautiful settings are the unintentional ones. We're obsessed with natural chippy wood and you can see why! Enhance any natural setting with fine finishes. 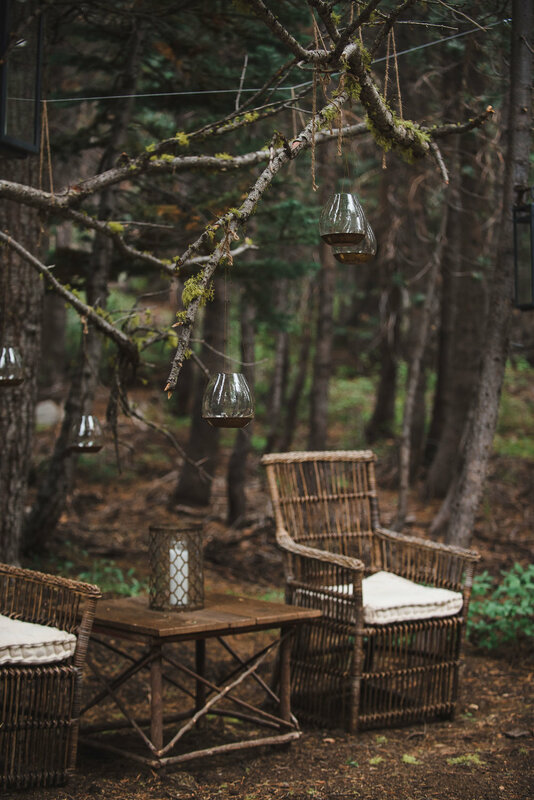 Floating candles and mossy branches compliment this outdoor wicker setting beautifully. Setting the scene is everything when you have detailed vintage finds hand-selected by our professional dealers. Gold accents made this place setting one to remember. 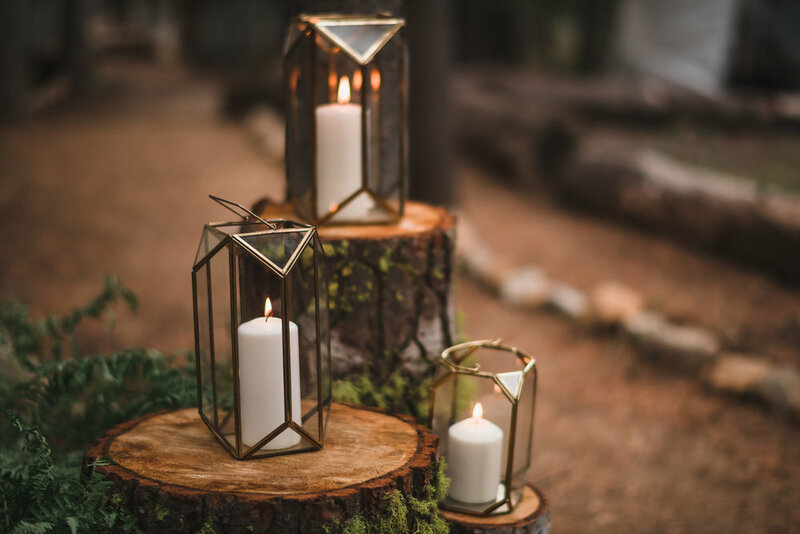 The perfect combination of vintage furniture and drippy candles make for a rustic outdoor ambiance. One-of-a-kind pieces that make a statement. Reclaimed doors are one of our favorite finishings! Add a splash of color and texture to any old chippy wood door and you've got a one of a kind piece.